'Test Kitchen': Have Your (Gluten-Free) Cake, And Love Eating It Too America's Test Kitchen knows how to make gluten-free food taste just as good as the regular stuff. The ATK team tells Fresh Air about the best packaged pasta, and the secrets of gluten-free baking. According to America's Test Kitchen, the best gluten-free flours to bake with contain four ingredients — brown rice flour, white rice flour, potato starch and tapioca starch. It took hundreds of batches of muffins, cakes and cookies before Jack Bishop and Julia Collin Davison — of the public TV series America's Test Kitchen — figured out the best ways to make delicious baked goods without gluten. They also conducted taste tests of packaged gluten-free breads and pasta. Collin Davison tells Fresh Air's Terry Gross that the show's normal testing procedures "really worked to help us get at the heart of what makes gluten-free things taste just as good as traditional baked goods." Bishop and Collin Davison edited The How Can It Be Gluten Free Cookbook. They join Fresh Air to share tips, secrets and favorite recipes for gluten-free baking. Bishop: There are two proteins in wheat — glutenin and gliadin — and they are basically wrapped around starch molecules, and they're basically inert. But when you add water or another liquid, you are bringing those proteins back to life, and they unwind from the starch molecules and attach to each other, and the more you knead or mix the dough or the batter, the more they will attach to each other, and they form this elastic network that is called gluten. The gluten is really what traps the bubbles, the carbon dioxide, that is either coming from yeast, from baking soda, from baking powder; and it's what gives bread, cookies, cake their structure. It helps turn them from doughs and batters into beautiful, risen baked goods. Collin Davison: Gluten is kind of magical, and so when you take it out of the equation, you're left with flours that can't absorb liquid as well, they can't absorb fat as well, and they can't trap those air bubbles that are really crucial for baked goods. So you wind up with things that are ... very dense and squat; they're often greasy and they crumble apart. They don't have the binding structure of gluten. The Jovial has more protein and more fiber. And basically what that does is it prevents the starch molecules from bursting. During the cooking process, the starch is hydrating and swelling, which is a good thing, so that it goes from its dry state to something that you can actually eat. But in a lot of the other gluten-free pasta brands that we tested, the starches kept on swelling and eventually they exploded, and you could look in the pot and see the starches because the pasta water was now cloudy — it basically looked like milk. Bishop: I think a croissant would be pretty hard to make gluten-free ... in large part because of the butter issue, which is the flour has so much trouble absorbing fat and you really don't want a low-fat croissant. The solution ... was when you take out the sugar and you take out the butter and you take out all that flavor, you need to replace it with a different kind of flavor and fat that will stay in the cookie and the fat won't leech out during baking — and that turned out to be almonds. When you think about almonds, it has a lot of natural fat in it, and those almonds will hold onto their fat and their flavor in the oven. ... So almonds, or almond flour, was the key to the sugar cookie, along with xanthan gum [as a binder]. 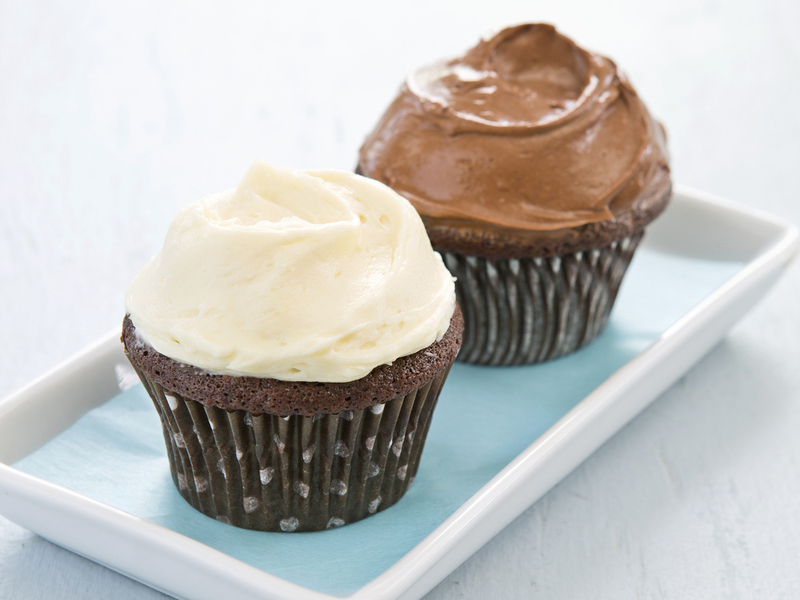 The ultimate chocolate cupcakes are moist and tender with rich chocolate flavor. Taking a cue from the success of our moist and tender Chocolate Layer Cake, we scaled the recipe to fit in a standard 12-cup muffin tin and simply adjusted the baking time. The combination of rich chocolate flavor and light, fluffy crumb once again fooled tasters into thinking these cupcakes couldn't possibly be gluten-free. 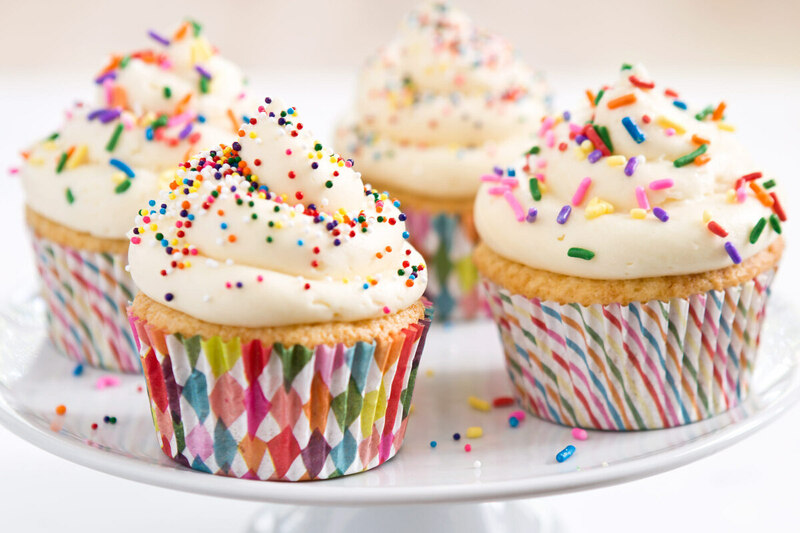 Once frosted, serve the cupcakes within a few hours. 1. Adjust oven rack to lower-middle position and heat oven to 350 degrees. Line 12-cup muffin tin with paper or foil liners. 2. Microwave oil, chocolate, and cocoa together in bowl at 50 percent power, stirring occasionally, until melted, about 2 minutes. Whisk mixture until smooth, then set aside to cool slightly. In separate bowl, whisk flour blend, baking powder, baking soda, xanthan gum, and salt together. 3. In large bowl, whisk eggs and vanilla together. Whisk in sugar until well combined. Whisk in cooled chocolate mixture and milk until combined. Whisk in flour blend mixture until batter is thoroughly combined and smooth. 5. Spread or pipe frosting over top of cupcakes and serve. 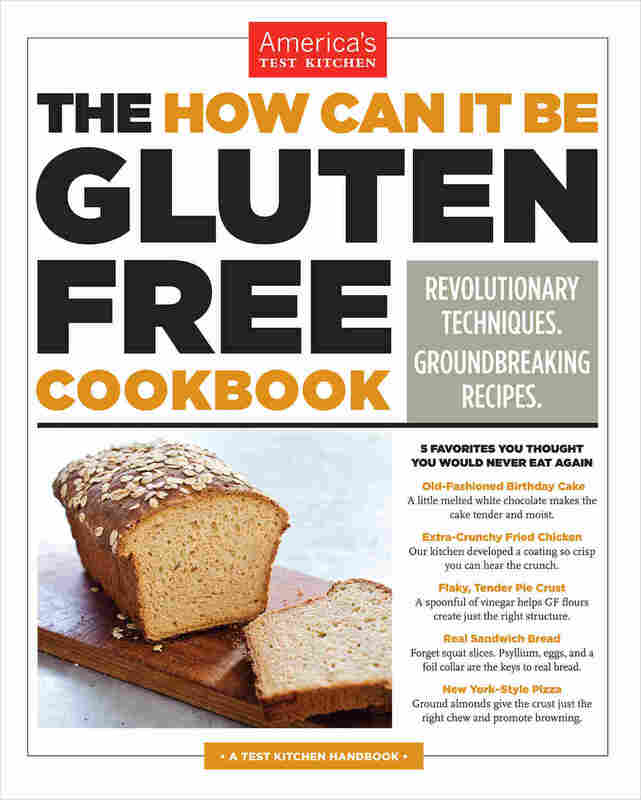 Excerpted from The How Can It Be Gluten Free Cookbook. Excerpted by permission of America's Test Kitchen. We started our testing by swapping in our flour blend for the all-purpose flour in a standard Toll House cookie recipe. It was no surprise that these cookies had problems: They were flat, sandy, and greasy. We'd discovered during our baked goods testing that gluten-free flour blends simply can't absorb as much fat as all-purpose flour can, so cutting back on the butter helped to minimize greasiness. Less butter, along with some xanthan gum, also helped alleviate the spread issue, so the cookies didn't bake up so flat. As for the sandiness, we knew from our gluten-free muffin testing (see Chapter 1) that fixing this problem required a two-step approach. The starches in our blend needed more liquid as well as more time to hydrate and soften, so we added a couple tablespoons of milk and let the dough rest for 30 minutes. This resting time also had a secondary benefit: It gave the sugar time to dissolve, which led to faster caramelization in the oven. And that meant a cookie not just with deeper flavor, but also with a chewier center and crisper edges. Finally, we wanted our cookies to be less cakey and more chewy. We realized creaming the butter, as the original Toll House recipe directs, was aerating the butter too much. Melting the butter instead, and changing the ratio of brown sugar to granulated sugar, gave our cookies the right chewy texture. 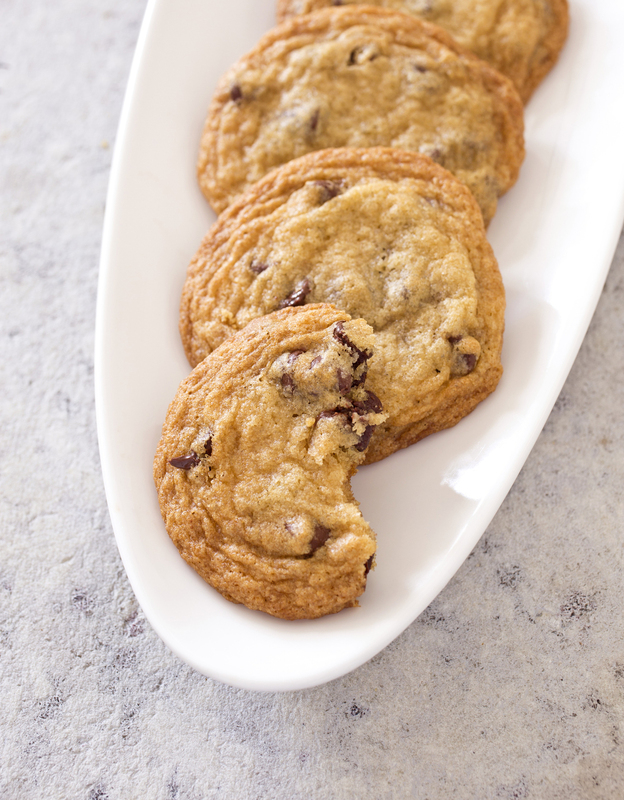 The extra brown sugar also gave our cookies a more complex, toffee-like flavor. Bite for bite, this was a chocolate chip cookie that could rival the best versions of the classic. Not all brands of chocolate chips are processed in a gluten-free facility, so read labels carefully. 2. Adjust oven rack to middle position and heat oven to 350 degrees. Line 2 baking sheets with parchment paper. Using 2 soup spoons and working with about 11/2 tablespoons of dough at a time, portion dough and space 2 inches apart on prepared sheets. Bake cookies, 1 sheet at a time, until golden brown and edges have begun to set but centers are still soft, 11 to 13 minutes, rotating sheet halfway through baking.